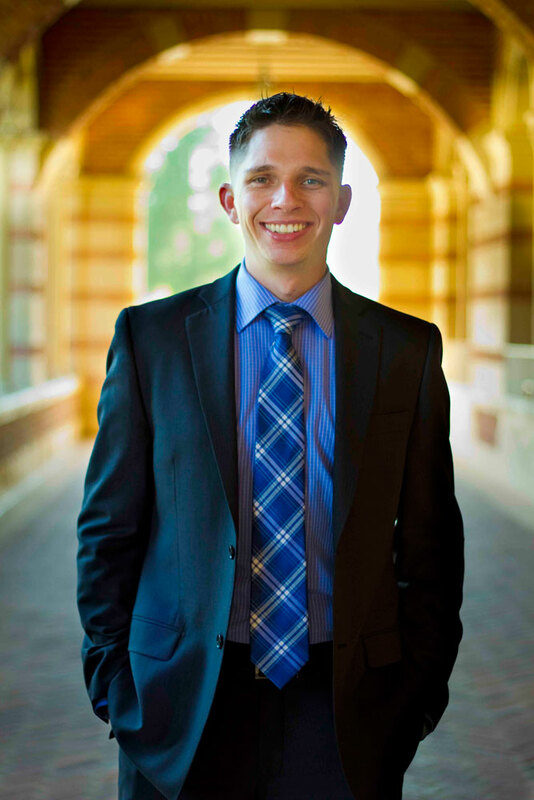 If any graduating senior could truthfully or assuredly say he lived and breathed academic discipline and pushed himself to make the absolute most of his experience at UCLA, it was fourth-year business economics student Christopher Klein. 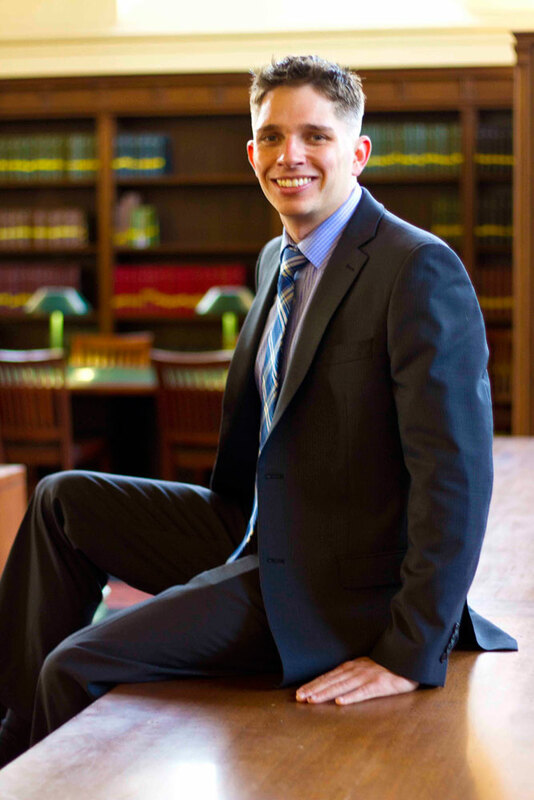 His path to the university may have been different from the one stereotyped as the “college experience,” but his unique journey led him to a deeper appreciation for learning, challenging himself and holding himself to a higher standard than the average Bruin. Growing up in Fresno, California, Klein was a top student in his high school, ranking 10th overall. Although his passion for learning and his high-powered academic stats were impressive, Klein was not certain what he would do next. “In high school when it came time to prepare for college, I wasn’t sure how I would be able to afford tuition and didn’t want to incur debt to pay for school, so I explored many different options,” he shared. In a decade in which a large majority of students were concerned with the financial aspect of affording college, and upwards of 70% sought student loans, Klein’s concerns were far from unwarranted. While in the military, Klein was personally challenged with a variety of tasks and work assignments, first serving as a plans analyst for the 3rd Force Service Support Group, where he took part in organizing and developing training operations in Bangladesh, Mongolia, and South Korea, while personally stationed at Okinawa, Japan. Moreover, Klein was a part of the successful deployment of over 500 Marines and 275 tons of aid equipment to the disaster site caused by Hurricane Katrina; for his valiant efforts and hard work, Klein was awarded the Armed Forces Service Medal. However, despite also being awarded the Navy Achievement Medal twice and the Korean Defense Service Medal, Klein’s humility shone through his dedication to discipline. To say Klein took his own advice and seized the opportunities before him would be an understatement. In his time on campus, Klein undertook the challenging business economics major, even selected as an economics department William Sharpe Fellow, while concurrently earning an accounting minor and a film minor. He also found the time to work as an intern for the prestigious banking firm J.P. Morgan, while maintaining a 15+ hour a week dedication to UCLA’s own Navy ROTC, mentoring and guiding new recruits and leading them on the best path for a successful military career. 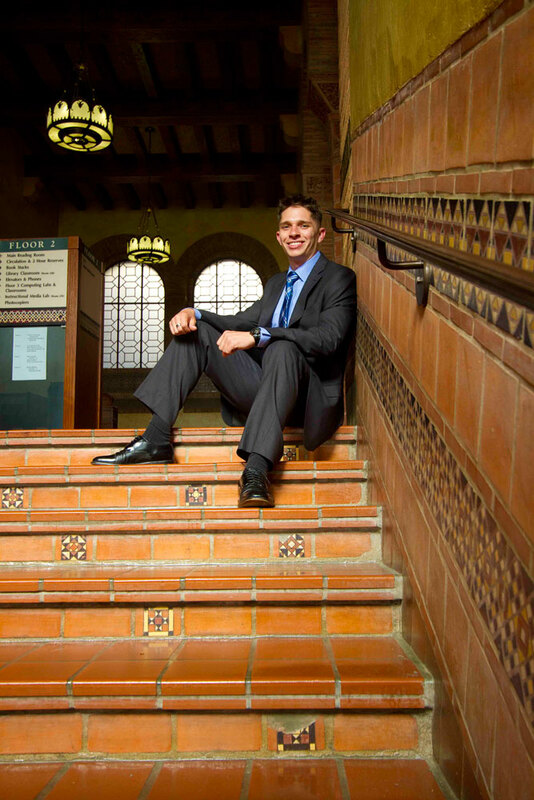 In his spare time, while juggling a multitude of work responsibilities and a heavy course-load, Klein became an integral part of the UCLA Undergraduate Business Society, and with his combined knowledge from the Business Society, his internship, and his courses, worked with UCLA Volunteer Income Tax Assistance (VITA) to offer free tax aid to the greater Los Angeles community. The tradition of service the university is known for was not lost on this Bruin; despite his already-busy schedule, Klein said, “In order to give back to the community that has provided so much for me, I have tried to stay engaged in volunteerism and community service. I routinely donate at the UCLA Blood and Platelet Center, [and] often volunteer at the American Legion and West LA Veterans Affairs Hospital.” Committed to giving back and getting involved, he was also a repeat member of the philanthropic Student Chancellor’s Circle and encouraged others to do the same. For Klein, every year on campus was another opportunity to learn something new. Even in his last year as a graduating senior, Klein took part in the UCLA Center for American Politics and Public Policy program—a quarter spent abroad in Washington, DC—and in the process, learned a thing or two about the chaotic world of American politics. He was awarded a fellowship that allowed him to intern in the U.S. Congress. “Before, I wasn’t interested in politics; but working here in the center of the government, in such an intelligent atmosphere, has been a really eye-opening, rewarding experience,” he said. With his endless dedication to learning and making the community and world around him a greater place, Klein epitomized the True Bruin spirit, providing an example new Bruins could look up to and simultaneously learn from in meaningful ways.